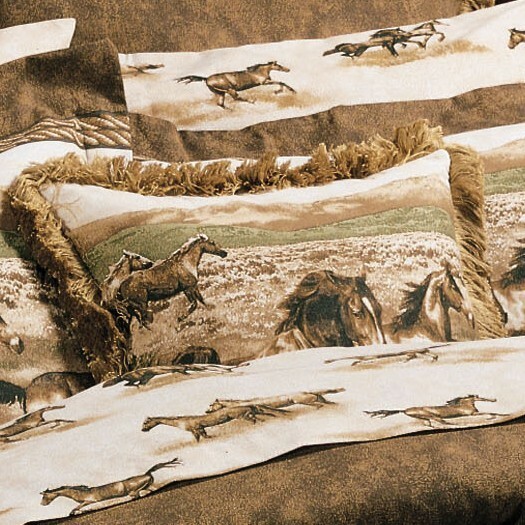 A herd of wild horses glide through a western valley in warm earth tones that will enhance your rustic western decor. 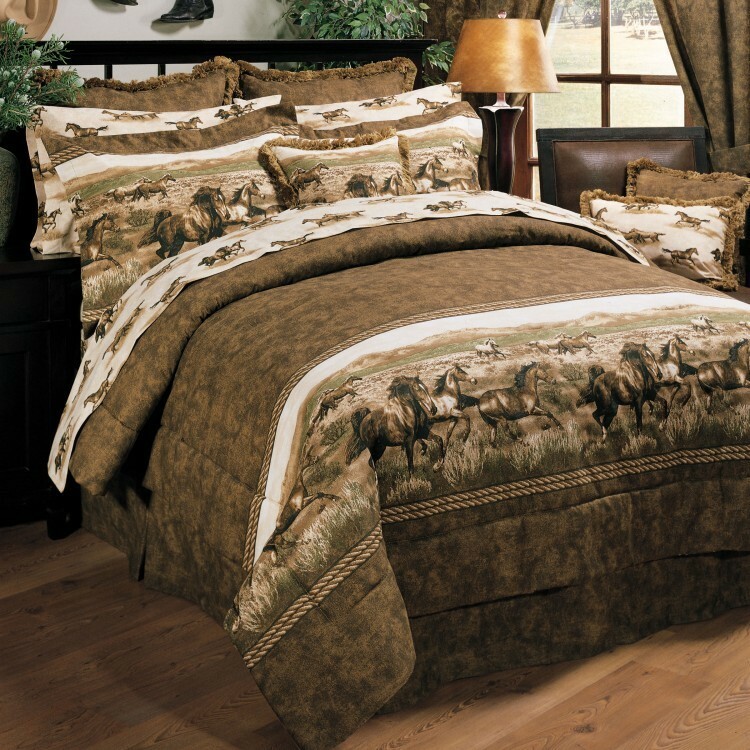 The scenic valance with the western horse print coordinate with the leather look of the drapes. 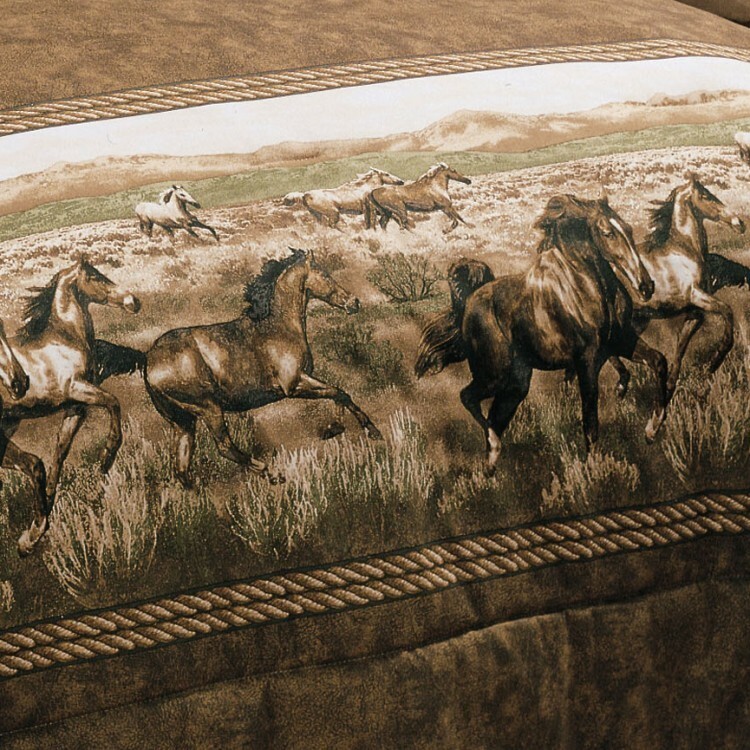 A herd of wild horses glide through a western valley in warm earth tones that will enhance your rustic western decor. The scenic valance with the western horse print coordinate with the leather look of the drapes. Drapes are lined and include tie backs. The accent pillow is 18 inch square, reverses to solid brown and is accented with fringed edges. Sheet sets are 180 thread count cotton polyester percale and are machine washable. Bedding is made of 100% cotton duck. Your Comforter Set includes: 1 comforter, 1 bed skirt and 2 pillow shams (1 with twin). EZ Bed Set includes: 1 comforter, 1 bed skirt, 2 pillow shams (1 with twin), 1 top sheet, 1 fitted sheet and 2 pillow cases (1 with twin).